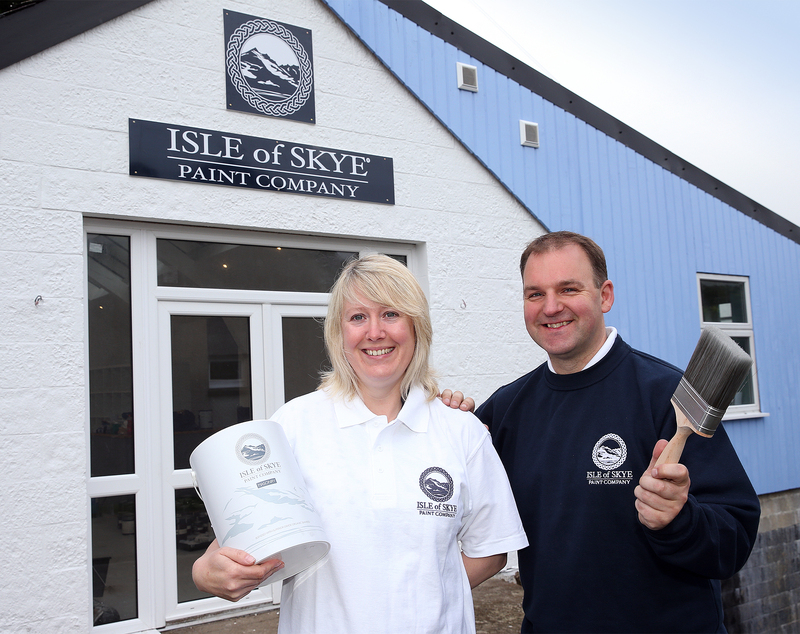 Thirty-two shades of Skye will soon be available at the Isle of Skye Paint Company in Portree. 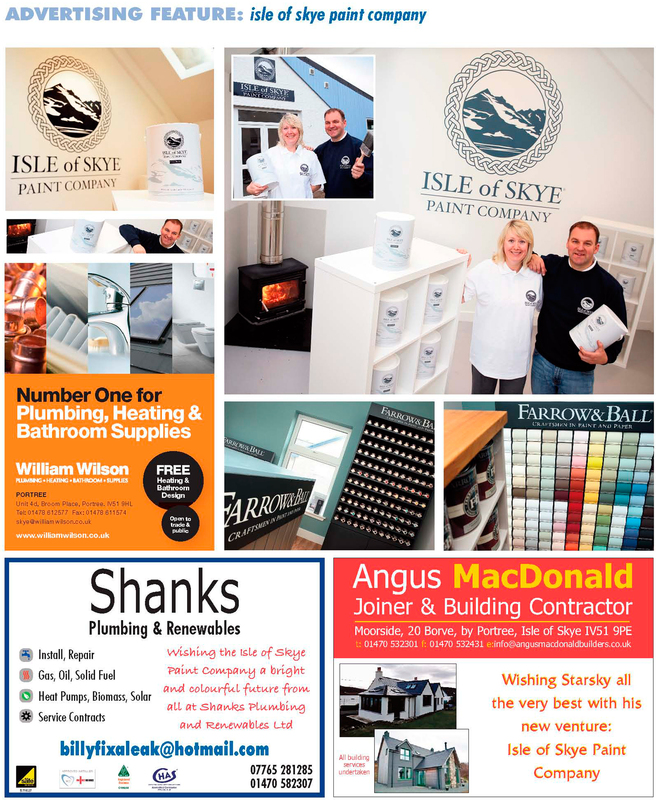 Opening in new premises on Bridge Road, Portree, the firm was formerly Starsky’s Paint Store on Lisigarry Place. 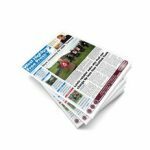 Alasdair ‘Starsky’ Campbell – a well-known painter and decorator with over 20 years’ experience in the trade – will be keeping his existing painting and decoration company as it is. Unimpressed with the durability of the leading brand paints, Starsky sought to create his own formulation of masonry paint to suit the harsh climate of Skye. 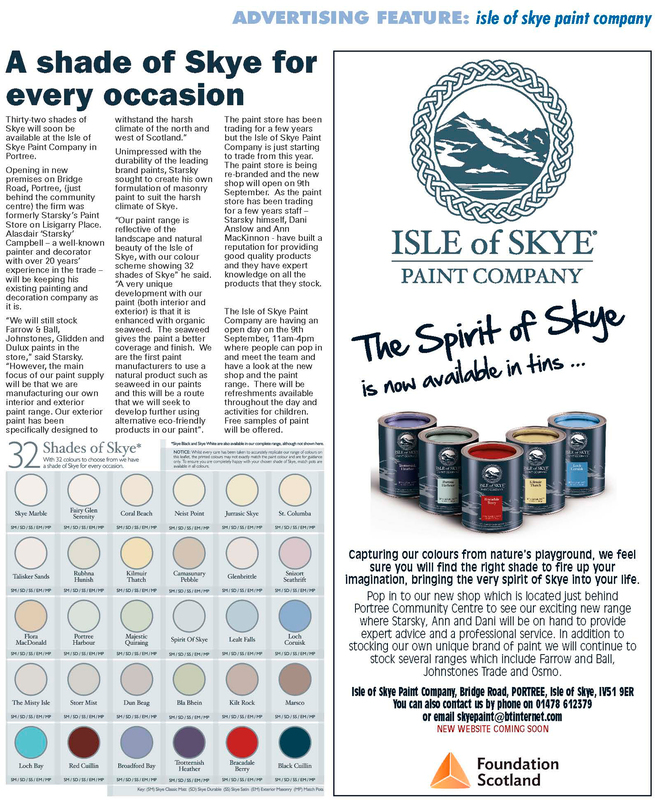 “Our paint range is reflective of the landscape and natural beauty of the Isle of Skye, with our colour scheme showing 32 shades of Skye” he said. “A very unique development with our paint (both interior and exterior) is that it is enhanced with organic seaweed. The seaweed gives the paint a better coverage and finish. We are the first paint manufacturers to use a natural product such as seaweed in our paints and this will be a route that we will seek to develop further using alternative eco-friendly products in our paint”. 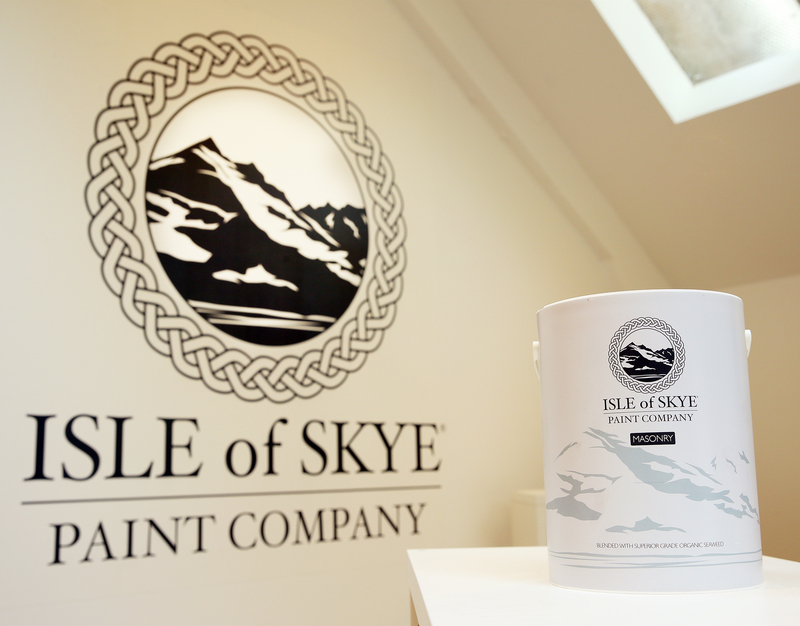 The paint store has been trading for a few years but the Isle of Skye Paint Company is just starting to trade from this year. 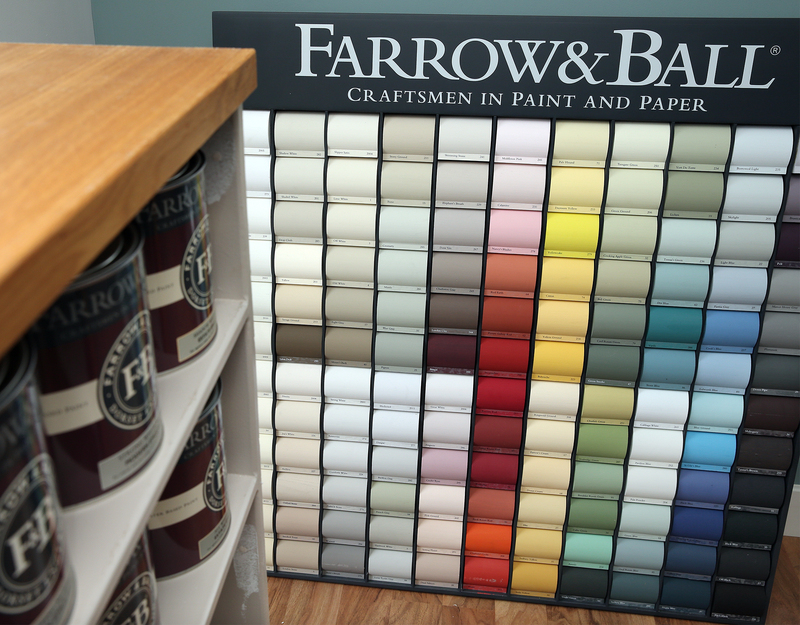 The paint store is being re-branded and the new shop will open on 9th September. 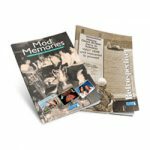 As the paint store has been trading for a few years, staff – Starsky himself, Dani Anslow and Ann MacKinnon – have built a reputation for providing good quality products and they have expert knowledge on all the products that they stock. 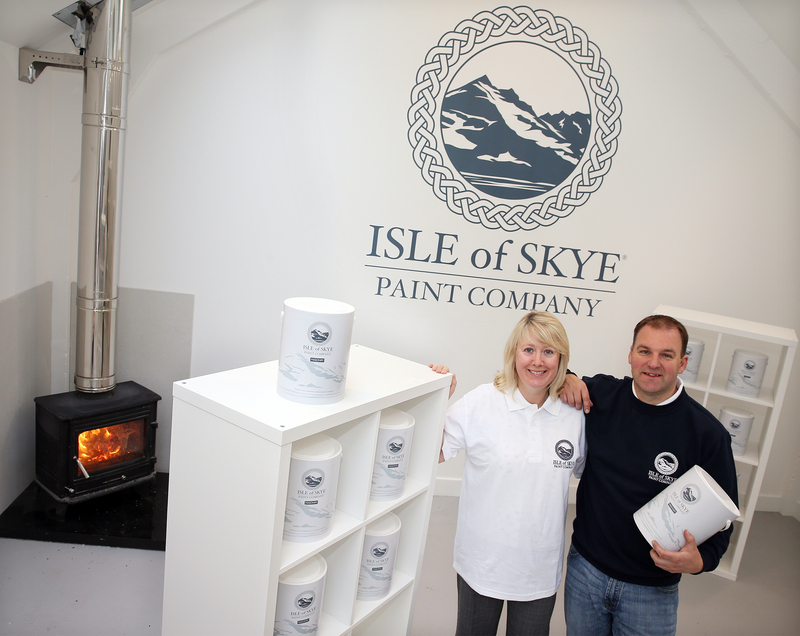 The Isle of Skye Paint Company are having an open day on the 9th September where people can pop in and meet the team and have a look at the new shop and the paint range. 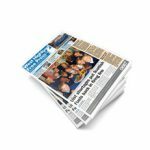 There will be refreshments available throughout the day and activities for children. Free samples of paint will be offered.